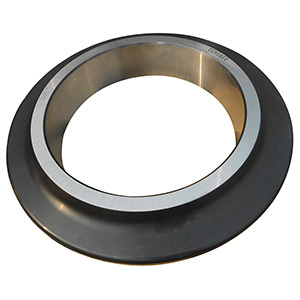 Standard cutter rings are forged with alloy tool steel and heat-treated to HRC56-58 with an ideal balance between hardness and toughness, suitable for soft ground to mixed ground. 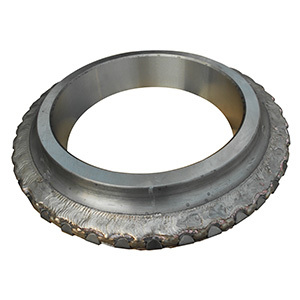 Heavy duty cutter rings are forged with alloy tool steel and particularly heat-treated to HRC57-59 with high wear resistance, suitable for hard rock and abrasive rock. 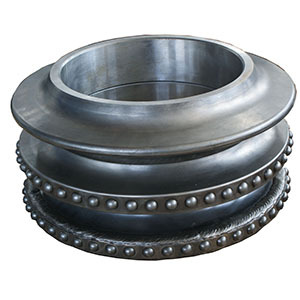 Extra heavy-duty cutter rings are forged with matrix steel and heat-treated to HRC59-62 with extra wear resistance, suitable for full-face hard rock TBM. TCI cutter rings are inserted with various shaped tungsten carbide tips. The TCI are very wear resistant to bore ground, and undulating nature of the TCI would help the cutter to rotate and avoid flat spotting, suitable for abrasive but not very hard ground. The cutter rings are manufactured with ideal profile and tip width, usually 13mm to 30mm in order to achieve high excavating efficiency and long lifetime. Our TBM cutter rings can be interchanged completely with Palmieri, Herrenknecht, Robbins and Wirth cutter rings. 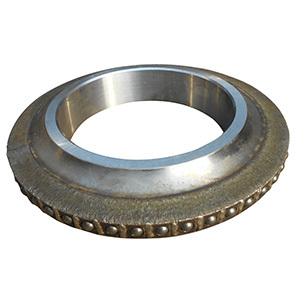 You are browsing our TBM cutter rings. We also manufacture TBM disc cutters, RCD roller cutters and raise boring cutters.